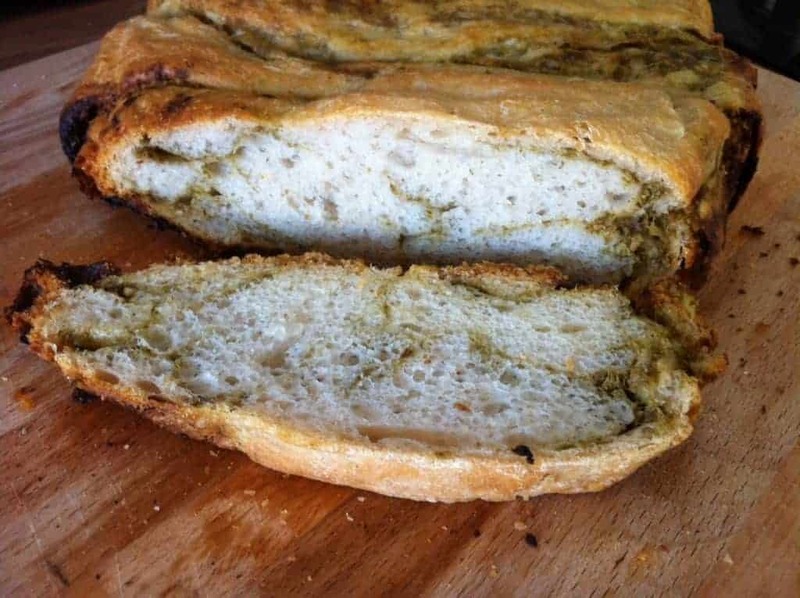 This slow cooker pesto twist loaf recipe is great in the summer as an accompaniment to salads, cheese and cold meats. Bake it in the slow cooker and you don’t need to get hot and bothered! 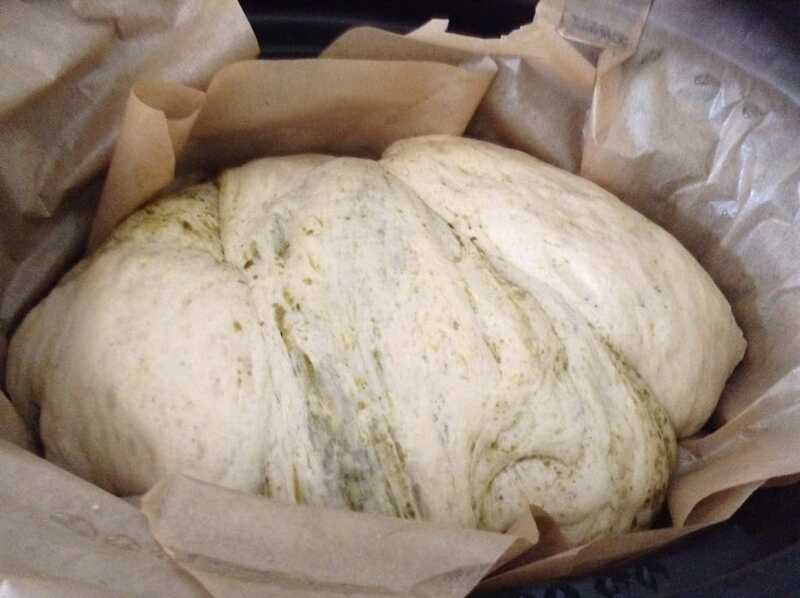 Make the bread by placing the flour in a bowl, then adding the salt on one side and the yeast on the other. Mix through. Slowly add the water to make a sticky dough. Transfer to your freestanding mixer and knead with your dough hook for 6 minutes, or knead by hand for ten minutes. 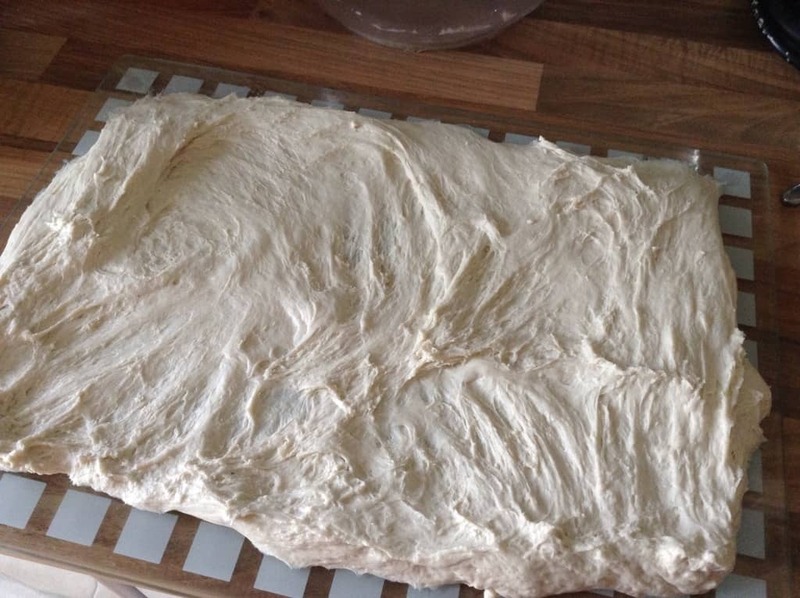 Place the dough in an oiled bowl and leave to rise for 30 minutes. 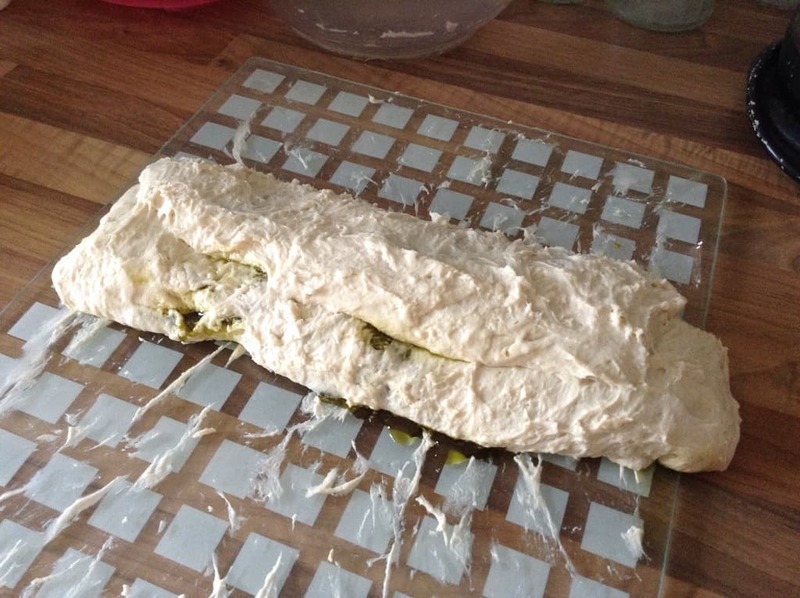 Roll the dough out on a board into a large rectangle. 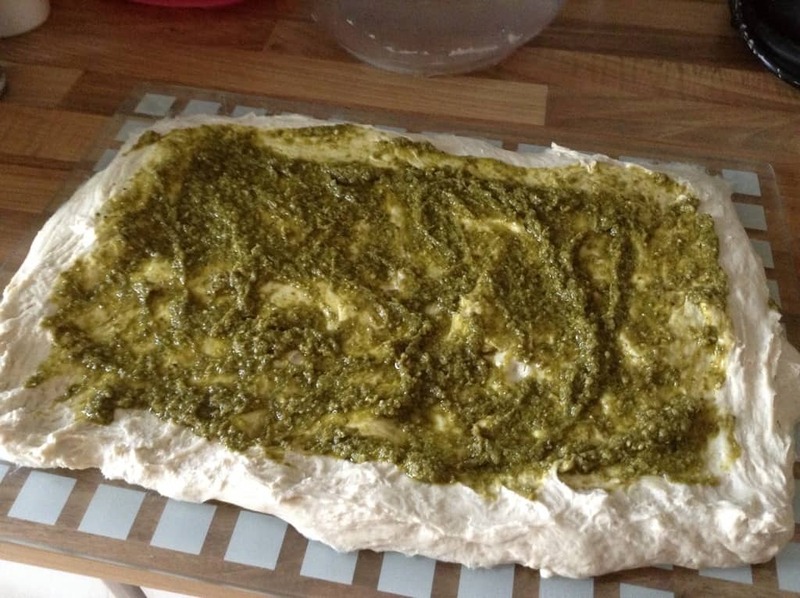 Spread the pesto over the dough, leaving a border around the edge plain. 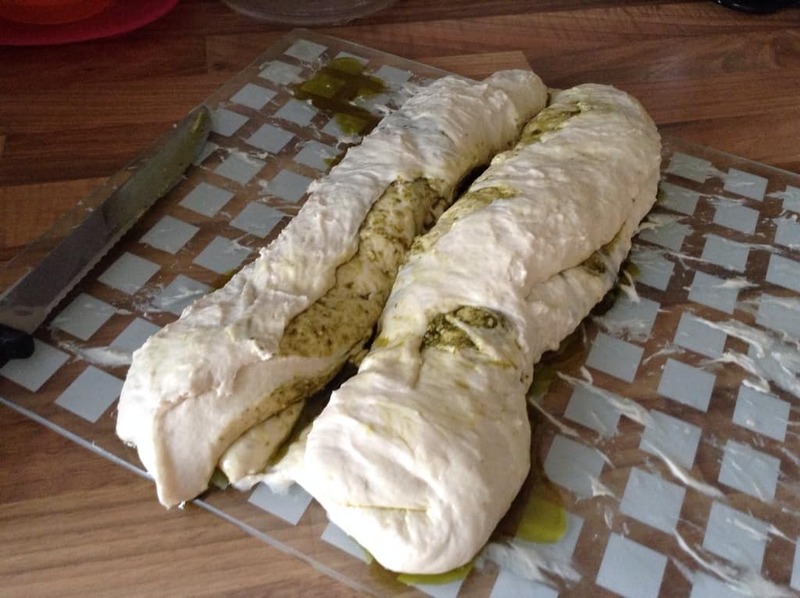 Start rolling the dough up on one of the short sides. You will end up with a roll like a Swiss roll. Take a sharp knife and slice down the middle to create two strands. Twist the two strands around each other two to three times. 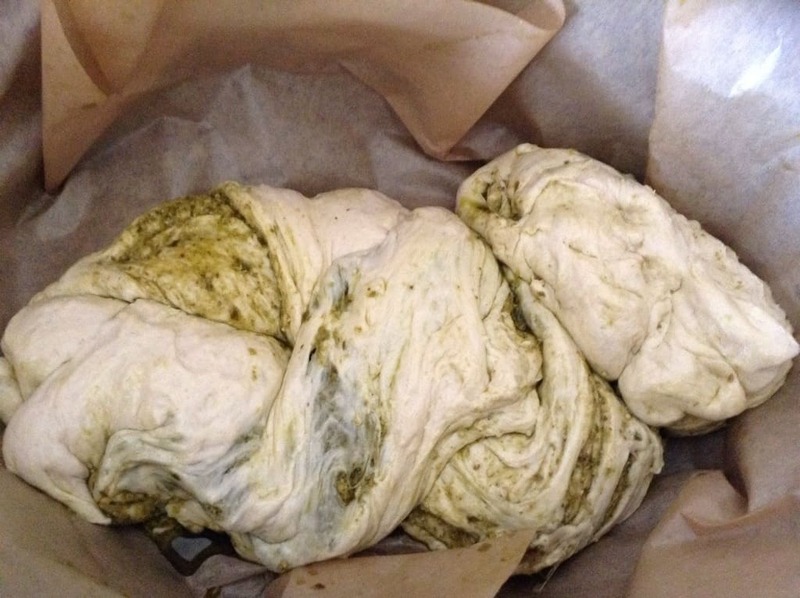 Transfer the dough to your slow cooker pot, lined with greaseproof paper. Cook on low for one hour to prove further. Then switch to high for 1-2 hours or until baked and firm. It took 1.5 hours in my large Crockpot Sauté. 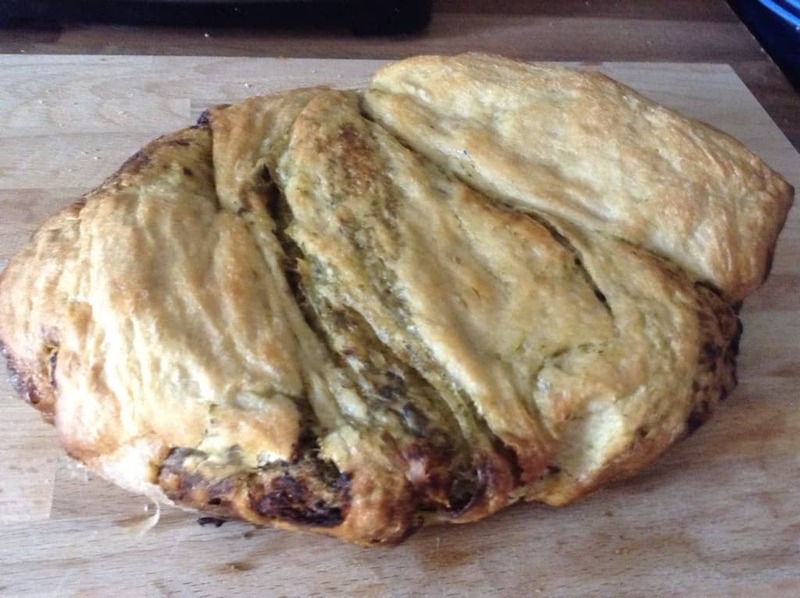 I then baked it for ten minutes in a hot oven to brown the top. This was delicious for a summer supper with roast chicken, roasted vegetables and rice. 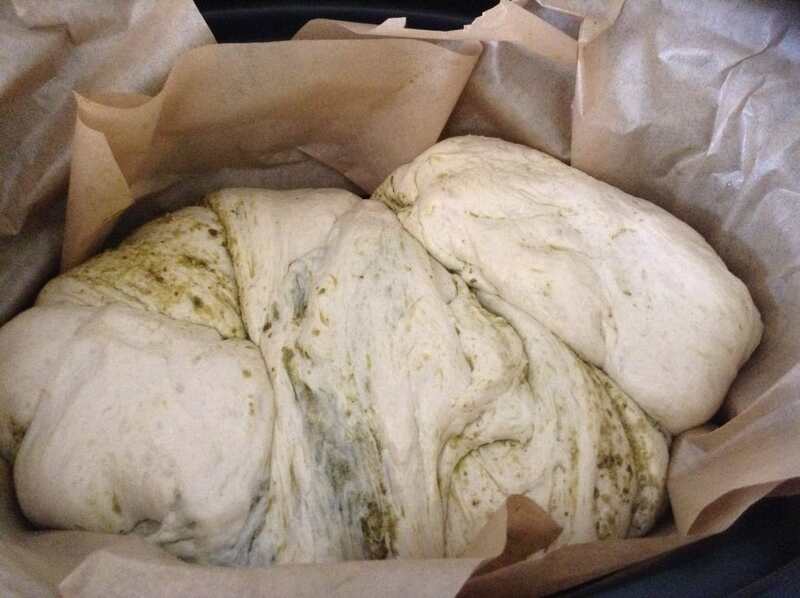 The pesto is swirled through the bread and makes a nice moist loaf. 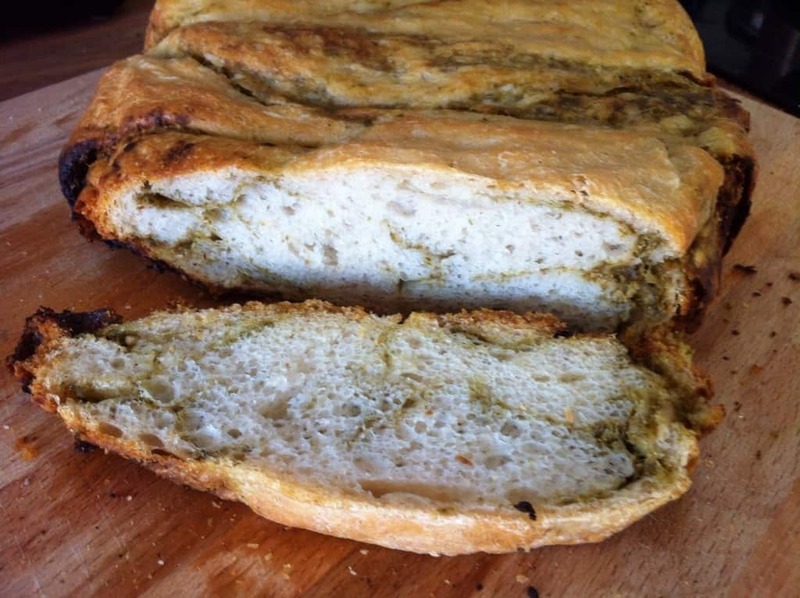 I’ve just made this loaf for the first time and it’s delicious. I have quite a small slow cooker so had it on high for an hour and it rose right to the lid, then 10 mins in the oven at 200 browned it off nicely. Maybe could’ve done with an extra 15-20mins in the slow cooker if you like your bread a bit firmer but the bread tastes amazing for me following the recipe exactly.